An audiobook cover for Discworld novel Guards! Guards! It’s a good time to be a Terry Pratchett fan. 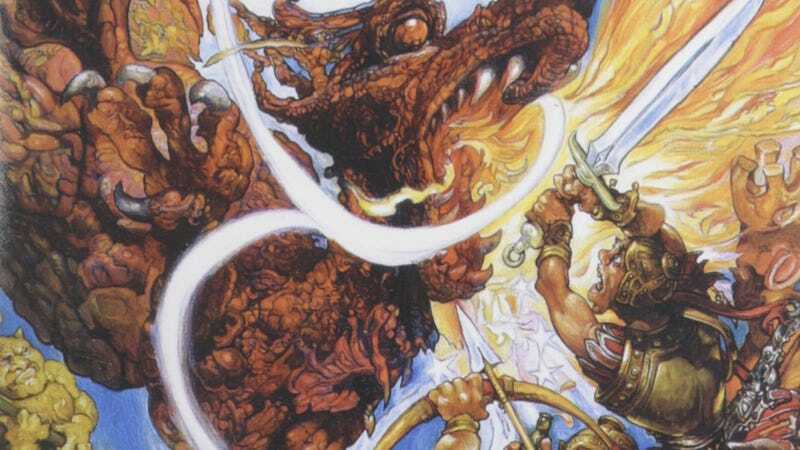 BBC Studios has announced that they’ve picked up Discworld and are planning on creating a six-part show based on the book series. Based on the working title, it could be the series that’s been in the works for years. According to Deadline, Discworld is being developed under the working title The Watch, and everything looks to be in the early stages, with Simon Allen (Das Boot, The Musketeers) possibly coming on board to write it. The series will be co-produced with Narrativia, the production company founded by Pratchett in 2012, and there are hopes to make it a major international co-production with multiple seasons. That working title suggests that they’re following through on finally making their CSI-style procedural crime drama called The Watch set in Discworld’s main city of Ankh-Morpock. This show had been in the works since 2011, but not much had been heard since. As recently as 2016, Narrativia co-director Rhianna Pratchett said that The Watch was still in the works, but many assumed the project was dead in the water. No word on when the Discworld series will go into production—but in the meantime Pratchett fans can look forward to Amazon’s Good Omens miniseries, starring Michael Sheen and David Tennant, which is set to come out in 2019.